Today is Margot Adler Day. It is her birthday (1946). She passed from this realm in 2014. The Firefly House in Washington, DC started this celebration of her life, this remembrance, as a means to not only remember Margot the person, but to remember all the good works that she helped bring about into this world. 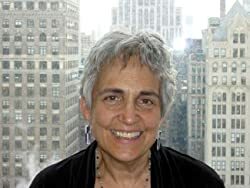 Not just her contributions to the written lexicon that is in the “you must read” section of Pagan libraries, but her contributions to activism – Pagan, environmental, political. I’m sure most of us have read her seminal work Drawing Down the Moon. To be quite honest, it was one of the first books I read on Paganism and didn’t quite understand when I read it. Though Drawing is one of the best academic works on the modern Pagan movement, it is that – an academic work. That doesn’t mean it isn’t worth reading. Oh, no! Far from it. I just wouldn’t recommend it for a beginner along this myriad collection of Paths. Margot wrote two memoirs of her life. The first, A Heretic’s Heart, details much of her younger days, her childhood and far-from misspent youth in New York and later Berkeley. She wrote frankly and honestly about her experiences in Berkeley during the Free Speech Movement, working for voter rights in the deep South, and working the fields in Cuba before Castro took control. She also wrote about her development of her own spiritual path: from atheistic Jew to Pagan Priestess. You can read my review of A Heretic’s Heart here. Her second memoir was Vampires Are Us, which she was touring when her health took a final turn. Vampires is more a memoir of America’s fascination with death and the romanticism of the immortal vampire to conquer that death. She wrote it when her husband succumbed to his own battle with cancer, a fitting work while she herself was battling cancer. The first part of the book talks about her journey with her husband’s cancer and how it led her to embrace the vampire. The second part is a collection of mini-reviews of a plethora of vampire novels and movies. I love vampire stories, so you bet I am going to be combing through those reviews and finding books and movies I’ve missed! Next Wednesday is Earth Day, the 45th anniversary in fact. Earth Day is a day to recognize that humans are destroying the Earth. It is also a day to acknowledge that there are things we can do to help combat that destruction. Though I seriously doubt that we can put a stop to it, we can delay for a small time the destruction of this tiny planet as we know it. Either way you look at though, the Earth will outlive humanity (unless we blow her to pieces). As some of you may recall, I love music. I collect it for the sake of hearing it whenever I want. Much of my collection is Pagan and New Age. Below is a short listing of thirteen tracks that I enjoy not just for their beauty, but for their call to action. This is far from an exhaustive list of “Pagan activist” music, but they are some of my favorites or have the most meaning for me today. Song for Manannan – Celia – In response to the theft of a statue of Manannan mac Lir earlier this year, singer/songwriter Celia was inspired to write and record this piece. The lyrics call to mind that no matter the differences in beliefs, all of humanity to should live together in peace. The Water’s Rising – Arthur Hinds – On his second solo release, Arthur Hinds drummed up some great music. Several tracks on Dance in the Fire work for the purposes of this list, but The Water’s Rising is most fitting. It talks about fracking and other forms of water pollution. Kind of a catchy tune, too. Beyond Us is the Cost – Cernunnos Rising – On the second album from this collaborative (Urban Druid), songwriter George Nicholas reminds us that everything we do today has a cost, whether we pay that cost or our children and grand-children pay it. Greenman (Last Tree Falling) – Cernunnos Rising – On the first release (Wild Soul), George set down that he is not just a Druid, he is also a man passionate about saving what he can when it comes to the environment and encouraging others to do so as well through his music. Watch the video. Sons and Daughters of Robin Hood – Damh the Bard – More of a political statement than an environmental, on Damh’s Antlered Crown and Standing Stone, he evokes the great legend of Robin in the Hood – folklore’s Green Man. Pagan Ways – Damh the Bard – On an earlier release, Damh delves into how many of us, Pagan or not, have fallen into the mix of the modern era and forgotten our own connection to the Earth. Through this song he reminds the listener to reconnect – with the Earth and with the people around us. What Are We Doing – Alexander James Adams – Along a similar vein, Alec brings social networking into this (as far as I can find) digital single. I’ve found it appropriate for use in both Earth-based activism and social activism. Trees Breathe – Celia – On her Breathe CD, Celia reminds the listener that trees are a source of our life’s breath and that we should honor and protect them whenever possible. The Caregiver’s Song – Celia – Ok, I admit it. I love Celia’s music. But these tracks are on here for more than that reason. The Caregiver’s Song, as I wrote in last month’s contribution to this site, tells us how important the role of the caregiver is. Not just the person who cares for a sick human, but the people who care for this planet. RED Alabaster & Blue – Celia – Clearly a political statement with this song. No doubt there. Unlike he Symbol Song – which most everyone here knows – this one talks to all of the citizens and immigrants to the United States (legal or otherwise) and points out that we are all important in the grand scheme of things. Peace Symbol – Cornell Kindernecht & Martin McCall – Just one of two “new age” or instrumental pieces to be put on this list. There are many more I could have included. Cornell and Martin’s music is quite simply beautiful. Cornell emailed me personally a few years ago and thanked me for the work I do on Lavender Hill, saying that he wished there had been LGBTQ positive radio programming when he was struggling with coming out to himself and to his family and friends. That is one reason I chose this piece for the list – the other is – obvious with the title. Valentina’s Dance – Betsy Tinney – The second instrumental, Betsy captures the pain and the joy of the release in this epic cello piece. Valentina is a whale that was trapped in a fisherman’s net off the coast of Italy. Sailors along the coast found her and went through their own epic release as they strove, and succeeded, in releasing her from the torment of that net. The Wild in Me – Chronilus – Last, but certainly not least, we come to this amazing piece. The Wild in Me is on Chronilus’s first full length CD. It talks to the differences in each of us and how we can combine our own uniqueness and individuality to better not only ourselves but the entire world. Update 4/19/2015: I produced a live podcast on Sunday the 19th featuring much of the music from this list as well as a tribute to Margot Adler. You can listen to it here. This entry was posted in Uncategorized and tagged activism, Earth Day, environmentalism, LGBTQ, Margot Adler Day, New Age music, Pagan music on April 16, 2015 by revkess.